Energy Impact’s expertise is in obtaining tax exemptions and refunds on utilities used in the manufacturing and production process. We reduce or eliminate sales tax on electric, gas and water utility meters that are necessary and integral to the manufacturing process. We also apply for and retrieve all available and applicable utility sales tax refunds. 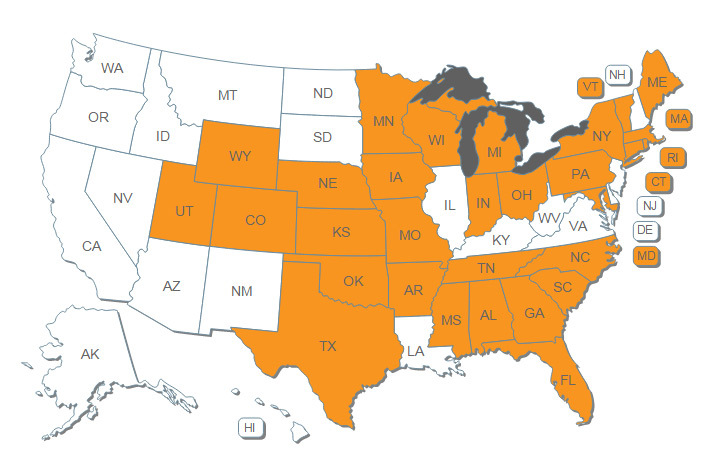 Hover over the states below for more information on utility tax exemption programs. We had a very good experience using Energy Impact, and I would recommend them to any company who is looking to save money on energy costs. We operate out of a 180,000 square foot manufacturing facility, so the utility sales tax savings was significant. Click on the map below for more information on utility tax exemption programs.